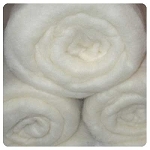 Home > Wet & Nuno Felting Supplies > Wet Felting Super Bubble! 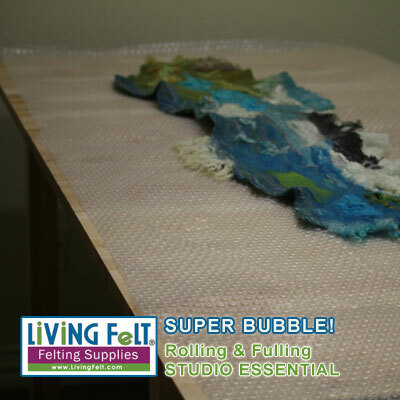 This super rigid bubble is thick and dense giving you an exceptional work surface, rolling mat and fulling mat for wet felting and nuno felting! Often the color is blue, but we are happy to offer it in a higher density, clear material! Rigid material makes it easy to rinse, hang dry, roll and store! No more struggling with wet, sloppy bubble wrap! *This is a bulky, heavy item. 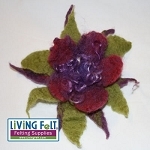 Wet felting and nuno felting studio essential! Especially for delicate items when rolling in bamboo would be too aggressive.